Having gone to my first Eat The Street in April, and throughly enjoyed it, I knew I had to make it to June's. 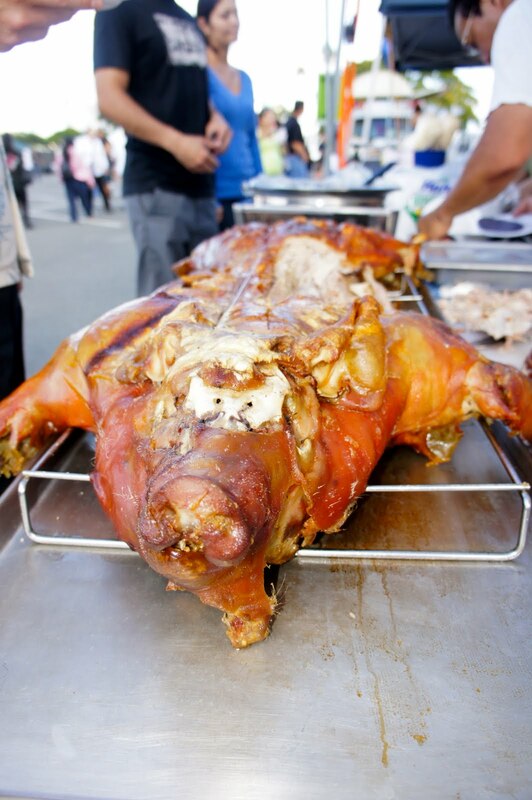 The theme was 'Pig Out,' so I knew there would be LOTS and LOTS of kalua pig and bacon on the menu. Eat The Street is from 4-9pm every last Friday of the month. Kelli and I got there around 430pm, which was perfect timing. We parked in the event parking lot (no pass needed! ), tummies rumbling and ready to eat! 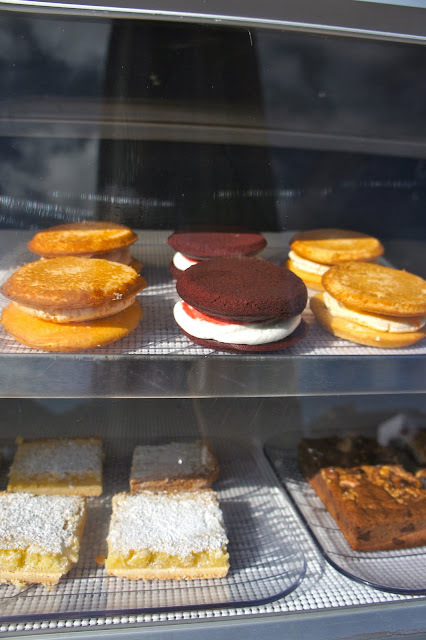 Having agreed to take a fast walk-around just to see what the food trucks had to offer, we knew what we would come back around for. 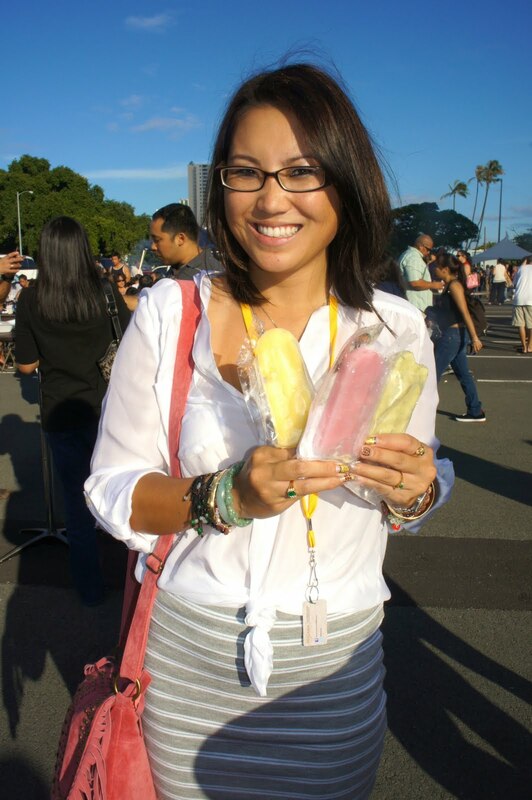 The sun was blazing, so Ju-Mui Ice Pops and Pineapple Iced Tea was one of our first stops! Just remember, if you go early like we did, it has its pros and cons. Pros? Parking was easy and quick, no lines, quick ordering. Cons? Blazing hot sun and the humidity is high. 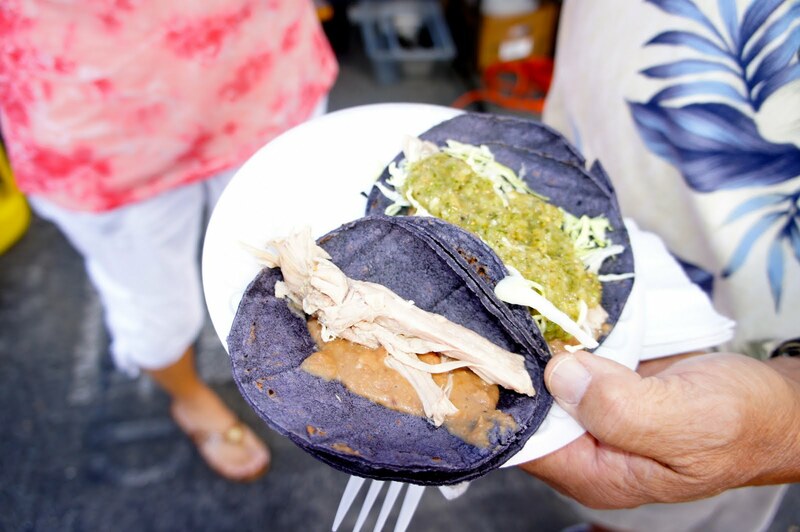 Here's a look at the June Edition of Eat The Street! Btw, my favorite menu item of the entire day was Elena's Pork Adobo Fried Rice Omelette. I'm completely obsessed. I was also hoping Flipt Out Eats (another Filipino food truck) would be here, since I wanted to compare Elena's to them...hopefully next month! There are people here, but it's calm and quick to get your food. Btw, check out the derby girls on skates trying to recruit! Reminds me of Drew Barrymore and Ellen Page in Whip It! This is Hula Shrimp Co! Ju-Mui tastes essentially like a Li-Hing Mui popsicle! 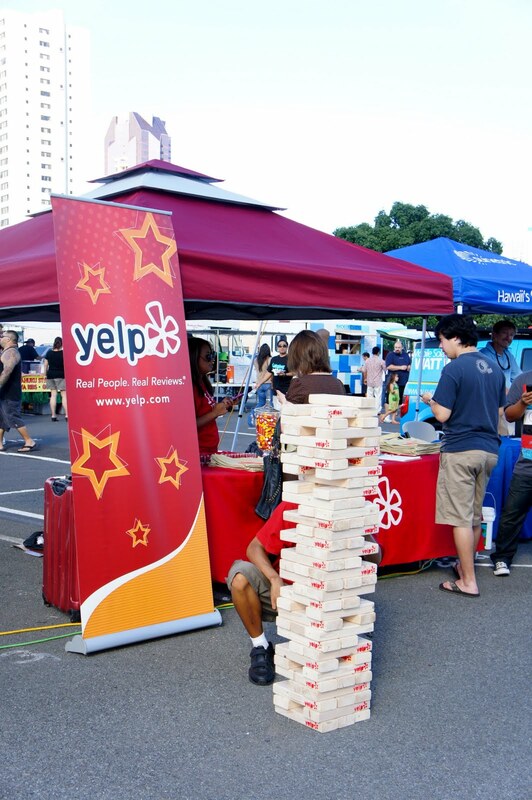 Yelp had a life-size Jenga game going on! Toppled quite a few times while we were there. that are just that...amazing names but tastes weird once you buy it. FairyCakes Whoopie Pies on top! Pig Tacos @ Baja Style Mexican Food! One of the trucks had their own Roast Pig! but only one small piece per order...BOO! @ Baja Style Mexican Food. This had to be my favorite truck of all. Pork Adobo Fried Rice Omelette!!!!!! Local STOP's King Kamehameha Malasada Burger. Another one of my favorites, although mine from April did NOT look like this! A huge burger, Kalua Pig, lotsa cheese, sauteed mushrooms...MMM! My friend Pace orders a refreshing variety of Xtreme tacos' Sampler tacos- the mini version. a middle eastern falafel in a taco! Mom and Dad's plate lunch was delicious! Panko-crusted Ahi! YUM! Super moist, soft and delicious. All of this for 10 bucks! 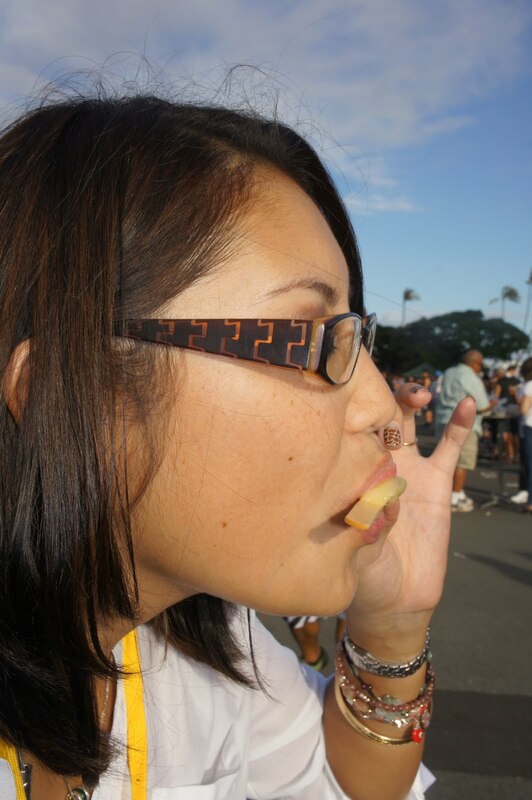 but it was like eating Cucumbers, plain and simple. Ice Cream on a tricycle! Lines get progressively longer as the day goes on. Lickety Split is refreshing, but it ain't no Dairy Queen! FairyCakes already running out and it's only 630pm? !